Size: approx. 7 mm. Photo: 08/16/15, 9 pm. 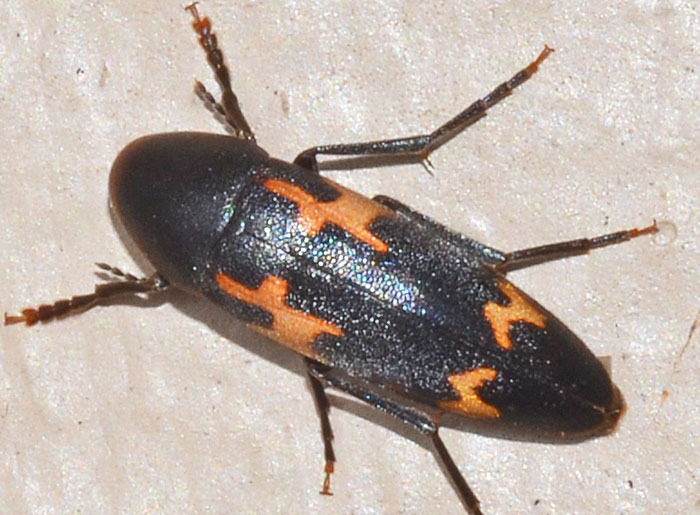 Dircaea liturata features a very interesting orange-colored pattern. This specimen was attracted to our porch lights.